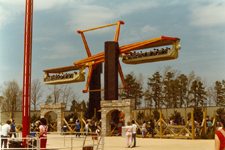 Six Flags Great Adventure's 1982 season started off with a new challenge as the original Fortune Festival games area was destroyed by a fire in the off season. 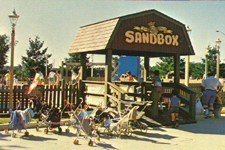 The fire which caused more than a million dollars in damage meant that the park's games of skill area needed to be rebuilt as quickly as possible to be ready for the 1982 season. The new Goodtime Alley was built bigger and better with state of the art games and new restaurants. 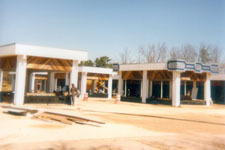 Unlike the original games area which was built in a U shape, the new buildings left room for expansion at the top of the plaza for future attractions which would draw guests past the games. 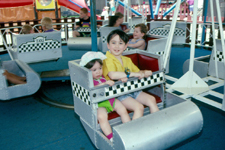 The first of the attractions to be placed in Goodtime Alley was the Joust-A-Bout ride which was the first and only ride of its kind in North America. The video game industry was exploding in the early 1980's and the park's video arcades were packed with guests dropping token after token into the latest games. Dream Street Arcade was just not big enough, so the Pinball Parlor was built at the other end of the park to double the number of video games available. 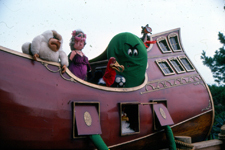 More children's attractions were added to Kiddie Kingdom to offer more things for the youngest guests to do including a Kiddie Scrambler, a new sandbox play area, and a new puppet show. 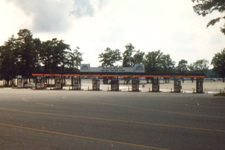 For the first time, the park charged for parking - $1.50 per car. 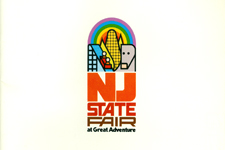 In an effort to grow park attendance further, Six Flags Great Adventure played host to the New Jersey State Fair. 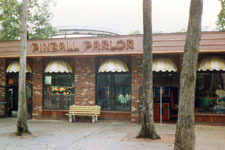 The long running fair had been struggling in its original Trenton location, so the attractions of the fair were setup at Great Adventure and the park offered far more attractions than the old State Fair ever could.